On our 3rd and 4th day we went on a tour to see the windmills at Zaanse Schans, cheese tasting in Voldam and wooden clog making in Marken. Just returned from a week long trip to Amsterdam and this is what we got up to! Part 1 covers our first 2 days arriving in Amsterdam then heading to Keukenhof to see the tulips. 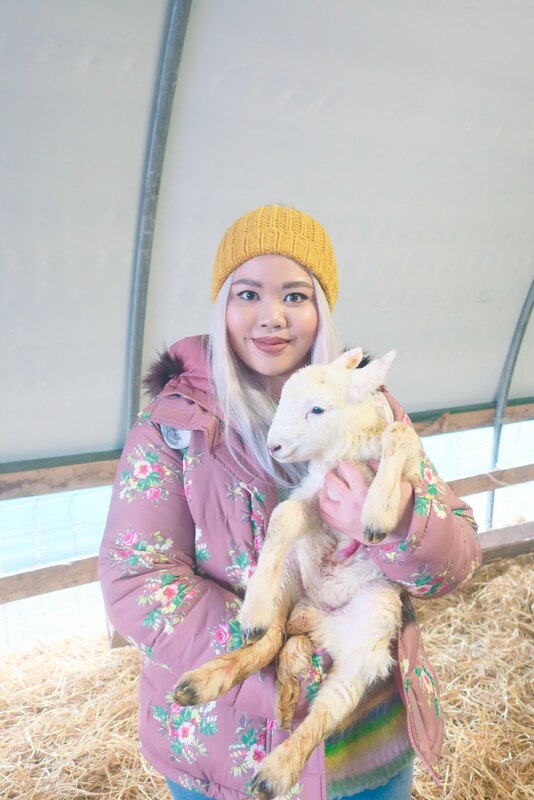 Back to Dublin for this outfit post, this is what I wore to watch Grief Is The Thing With Feathers as well as to explore the city the entire day beforehand. With all the travelling I've been doing lately (which is a rather new concept to be honest, before this I literally hadn't left London for around two years), I've been trying to master an outfit formula that allows me to feel stylish yet still be comfortable enough to walk around in all day and take me through different phases of outdoor weather. It still needs fine-tuning but so far the real game changer for me are the shoes. As a real shoe lover and hoarder, it was initially quite difficult for me to pack light with them but it's just not practical for me to wear heels or platforms when there's a chance I'm going to be on my feet for long periods of time or walking over uneven surfaces. To each their own but I guess I'm just super clumsy and have never been great at walking in heels so I've fallen over plenty of times and a swollen knee or twisted ankle is the last thing you'd want to acquire on a holiday. Even cute and feminine flats I find don't give enough arch support and cushion after a while and hurts your feet to walk over cobblestones. Luckily, trainers are in resurgence at the moment with designers such as Louis Vuitton and Balenciaga penning the comeback with fresh and eye-catching styles. Whether it be the Nike Cortez or old school Vans injecting a Stranger Things 80s touch to your street style or ditching your ballet flats and pairing your floaty summer dresses with clean white Stan Smiths, there's a sneaker for every outfit at the moment. My Dublin trip was short and sweet so I didn't pack any shoes and wore these pink high top converse to the airport. I styled them differently for all three days that we were there and found them versatile enough to finish off a smarter outfit such as this one as well as a more casual one. I always love getting trainers or any form of chunkier shoe/boot in a pink shade too, that juxtaposition of a typically feminine shade in a masculine shape is just my favourite. Another travel handy fashion item I have discovered is the plissé trouser/skirt. It's one of those materials that won't get creased no matter how you throw it in your suitcase, it's stretchy plus the ridges will hide any lumps or bumps. Basically it is the best material ever! For example these Topshop plaid trousers are pull on and completely elastic all over, though they give off a much smarter vibe more akin to a tailored pair rather than let's say tracksuit bottoms. Comfortwise, wearing them feels exactly the same as wearing trackies though. Winning! The final piece in my formula is a beret. Probably not as suitable come the middle of summer but for now, berets are much easier to pack than hats, they barely take up any room in your luggage so you could bring a variety of colours really. The beret will disguise bad hair days (I don't even travel with a heat styling tool anymore), roots and unwashed hair as well as add a cute Parisian touch to any look. I feel like with this formula I've become a much savvier packer. I used to tend to overpack and then end up not wearing half of the items I brought with me but now I make sure to plan out all my outfits for however many days I will be away in advance so that I definitely pack what I will wear. Crossing over certain pieces so that they feature as part of an outfit more than once on a trip is also something I'm trying to get better at. As you can imagine this is a lot more difficult as someone who documents her OOTDs but I firmly believe with the right styling, everything can look new and fresh so I've been practising this mindset as much as I can. My travel outfit formula for Dublin was a success and now I'm currently in the middle of my slightly longer Amsterdam break so shall report back here with how that goes once I return. In the meantime you could have a look at my instagram for a sneak peek at my outfits (we've been struck with a heatwave here so it's been a bit of a shocking change to say the least)! This is nowhere near how I'd usually dress but if you couldn't already tell, this look was heavily inspired by Erik Killmonger's "museum" outfit in Black Panther because, regardless if you fancy Michael B Jordan or not, I think we can all universally agree that it was A LOOK™. I added a pink skirt to make the ensemble slightly more feminine and more "me" though I swear I've been seeing so many guys rocking the shearling denim jacket and black jeans combo (yesterday alone I spotted three on my commute) and I'm uncertain whether everyone's taking inspiration from Killmonger or I'm just noticing this particular outfit pairing more post-Killmonger. Regardless, I felt pretty cool walking around like this all day and have decided I should put my hair up in a high pony and wear denim jackets more often. Have you ever taken style inspo from menswear? In other news, I'm off to Amsterdam tomorrow! This is going to be my first time visiting but I've always wanted to, and my friend Winkey has been pestering me for ages because her parents live there. We decided to make a short holiday out of it along with our other friend as she's finally got a few days off. She works so hard all the time so it's a lovely prospect to spend a week exploring together. Winkey knows Amsterdam and the surrounding area quite well so she's going to be our official tour guide. Thanks so much to everyone who's already messaged me their recommendations of places to eat and see there as well, I've noted everything down and hopefully be able to stop by them all. I'm excited to see the canals and tulips amongst all the other beautiful locations I'm sure we'll find, and looking forward to shooting some different photos for this blog. Hoping the weather cooperates whilst we're there. I'm also planning to vlog too so basically, look out for plenty of Amsterdam content coming soon! I have a confession to make. I was actually guilt tripped into seeing this play. You could call it peer pressure. But boy am I so glad that I ended up making the journey to Dublin to witness this magnificent piece of theatre. Okay so let me explain: I would never willingly miss a chance to see Cillian Murphy (one of my favourite actors) on stage, I've always found him to be an extremely compelling and versatile theatre actor and he often shows sides that you never see in a lot of his television and film work. On the other hand, I've never actually travelled out of London just for the sole purpose of going to see a play. You could say I'm a little stingy when it comes to the expenses side of things and I had almost decided to hold off and pray for the play to transfer to London in the future when I started receiving messages on social media asking me if I was going, and that some of my followers might see me in Dublin as they had planned trips from different countries all over the world to catch it. I took a moment to reflect on my standing as a long time fan of Cillian's when I knew there were others who were going to fly from as far as America. Who was I kidding, of course I had to go! There was no guarantee it would even come to London anyway and the experience would be priceless. Lucky for us, not only did we manage to score tickets to the play, we found flights to Dublin for £30 which I thought wasn't bad at all. Not going to lie, I was more than a little nervous to return to Dublin after my last experience being stranded there, especially since I heard reports that there might well be a round three of #TheBeastFromTheEast. I'd learnt many lessons though and this time I overpacked with extra clothing and brought along my laptop and DSLR in preparation for a worst case scenario. We planned to stay in Dublin for three nights and two full days. On the night we landed I took a walk to familiarise myself with the location of the O'Reilly theatre where the play was being held and I ended up bumping into Cillian, who was standing on the corner of the street with some friends. I was a little shocked but I'd brought him a present and thankfully hadn't unpacked it in my hotel room so was able to give it to him. He said he remembered me from London which really made me happy because although we've met more than a few times before, I always think out of the thousands of people he encounters, why would he remember me? Also my hair seems to change every time I see him so there's that as well haha. Anyway I told him I was going to see the play tomorrow and then we went our separate ways. 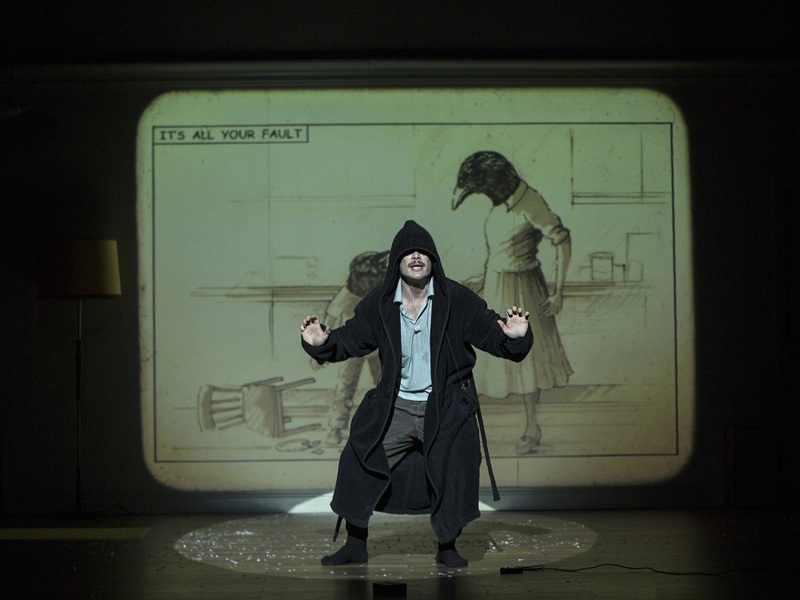 I'd heard rave reviews from Grief Is The Thing's run in Galway and my friend who'd read the book it was based on by Max Porter said it was a really well written story about grief, symbolised by a crow moving into the family home and that she'd be interested to see how they adapt it. The O'Reilly Theatre is a venue on the smaller side, approximately seating 350. There's no elevation between the first three rows either (I was sat in third row) but luckily the stage is quite high and there were no hats, top knots or afros in front of me. I'm going to proceed with mild spoilers ahead (none about the plot though) because it's going to be impossible for me to discuss my thoughts about it otherwise. Stop reading here if you plan on seeing the play and going in completely blind. The production opens with a sudden loud noice and throws the audience into complete darkness. My friend jumped out of her seat next to me and I'd say this was a good indication of the way the play was going to progress. 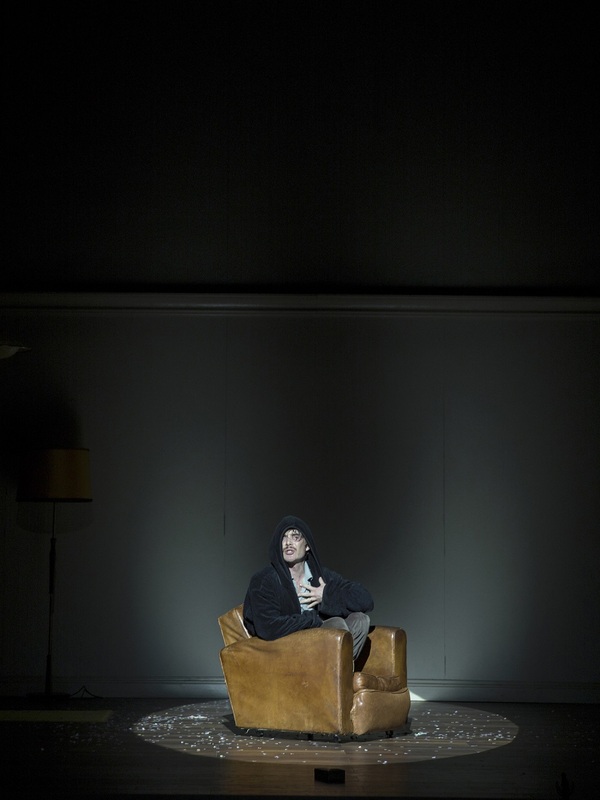 The setting is a simple interior depicting a small London apartment living space but a lot of the story is conducted through projections on the white walls. It's quite a clever design, scratchy writing and sound effects really gave the overwhelming claustrophobic sense of a large entity approaching us. 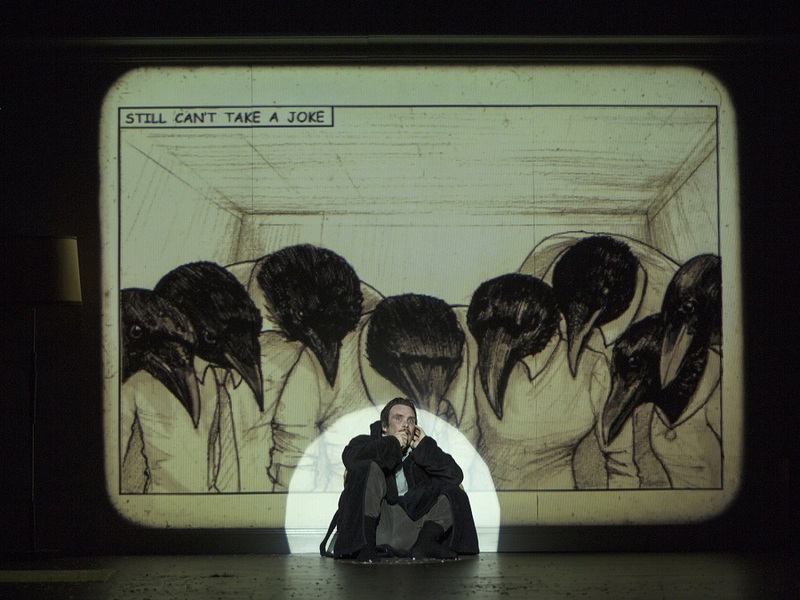 It's basically a one man play, with Cillian playing the grieving father who's just lost his wife, and also the crow which is a metaphor for what he's feeling. I was astounded by how quickly he could switch between the two characters, often in a split second if he was depicting a conversation between them. As the father he is shaky, broken and uncertain, speaking in a soft yet familiar Irish twang, a performance that plays on your sympathy strings and pretty much steals the audience's hearts from the get go. When he moves into the crow, his posture and movements immediately mimics the hunched and snappy black bird, his manner of speaking changes and transformed further by a mouthpiece that gives a harsh, croaky, booming effect that's quite frankly, terrifying. I can imagine it must be so emotionally demanding to play these roles but physically too as there are moments where Cillian jumps off high objects (even into the crowd once) and climbs up walls. Seeing his expressions up close meant that I caught even the slightest widening of an eye and it truly dawned on me again, just how great of an actor Cillian is. He can do anything, literally anything. There was absolutely no trace of the steely-eyed, cool-as-a-cucumber figure we often see at premieres and public events. He becomes these characters. His performance was complimented perfectly by two young actors who played his sons and seeing their relationship as a broken family dealing with the crow/grief was heart-wrenching to say the least. I think everyone can relate to these feelings, whatever form of loss they've experienced. The play is a brilliant study of grief, and I'm definitely intrigued to read the book now. 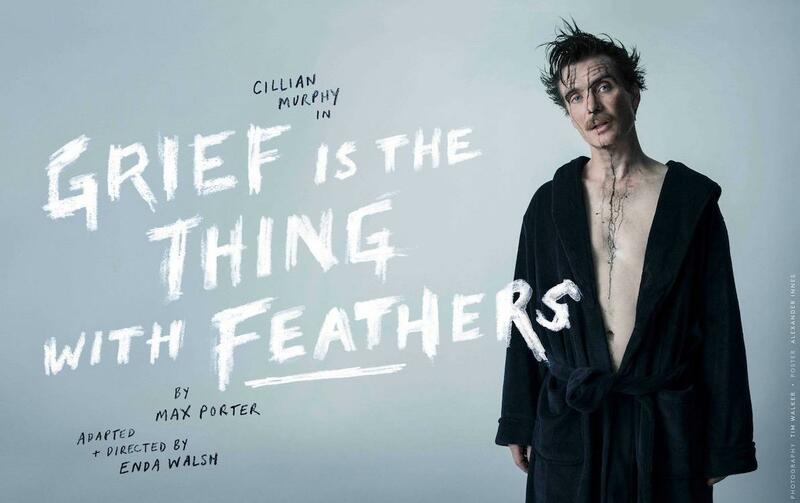 Grief Is The Thing With Feathers is (correct me if I'm wrong) Cillian's fourth collaboration with playwright Enda Walsh and I think their trust in each other means they can truly create unparalleled magic on stage. Might I add that each collaboration has been so completely and utterly different from one another, it's awe inspiring. The play runs for 90 minutes without an interval and will have you on the edge of your seat before concluding ever so beautifully (seriously the last scene is one of my favourites). Needless to say, there was an enthusiastic standing ovation as soon as it finished and Cillian and the kids took their bow. I even spotted Ronnie Wood from The Rolling Stones in the audience along with Irish actor Stephen Rea, who starred in Ballyturk with Cillian. I feel totally blessed to have seen this production and Cillian back on stage again so I do have to thank all the other Cillian fans who pushed me to go. Speaking of fans, I had a few people come up to me at the theatre saying they knew me from social media and it was so lovely to meet fellow fans, especially hearing that most had also travelled from different parts of the world to see it. I know I talk a bit about the bitter, jealous side of fandoms sometimes and cyber-bullying, but meeting genuinely friendly fans in real life really brought to the forefront how wonderful it is that a shared interest can bring a whole community together. I hope this play has been as worth it to the others who made the effort to see it as it has been to me, and those who haven't get the chance to in the future, as I've heard they might transfer this production to London and the US since the Irish runs have been doing so well.